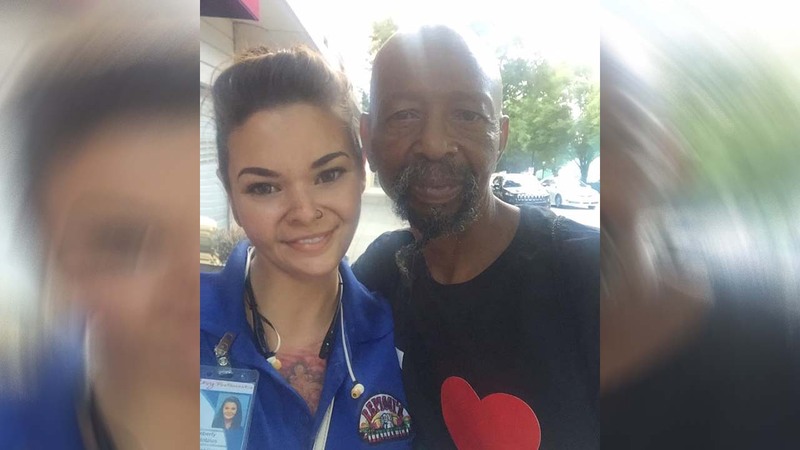 ATLANTA, GA -- Kimberly Schintzius was out playing "Pokemon Go," but instead of finding a mythical creature - she found someone who mattered a lot more and he reminded her how powerful it is to simply acknowledge a person. Schintzius wrote about the encounter on Facebook. "While out catching Pokemon in Atlanta I was approached by a frail looking older man on a worn out bicycle, I know I must have appeared lost looking at my phone screen," wrote Schintzius. "He asked if I needed help getting anywhere." Schintzius then explained "Pokemon Go" to the man and even showed him a wild "Pidgey." "He smiled and laughed and chatted with me about how he was wondering what all these young people walking around with their phones, doing funny things were doing," wrote Schintzius. Schintzius continued talking to the man and discovered his name was Daniel Wise. Mr. Wise was a Vietnam veteran. "He then thanked me for being so kind and walking and talking with him instead of pretending he doesn't exist like he had shared with me is what most people do whenever he tries to have conversations with people," wrote Schintzius. Wise told Schintzius, "I don't want you to think I'm trying to beg" and he did not want cigarettes or alcohol, but would love something to eat. "Since I was just going to get myself some pasta salad I went ahead and ordered a whole meal that came with pasta salad as a side and I just kept the side for myself and handed him the rest of food I had ordered for him," wrote Schintzius. Her actions caused Wise to break down in tears, but he had more one humanizing request. "He asked politely if he could give me a hug," wrote Schintzius. Schintzius gave Wise a hug and asked him for a photo so she could share the story on Facebook. Before they parted ways, Schintzius said Wise told her one more thing. "From the bottom of my heart I would like to thank you for the kindness you showed me today and letting me see that there are still young people like you out there who do selfless things like this in a world that often turns its back on old men like me and pretends we don't exist." Schintzius' Facebook post has received thousands of "likes" and has been shared nearly 800 times. Schintzius told Eyewitness News she is overwhelmed by the response the photo has received and would like to get Mr. Wise some additional assistance. "I am going to try my best to get him in touch with the veterans assistance programs of Atlanta that have contacted me recently with information on how to help him," said Schintzius.